Here's a peek into her most cherished collection. Monika Abad isn't someone you'll easily forget meeting at a party. More than her cheerful and kind disposition, she also has killer style that never fails to catch the room's attention. 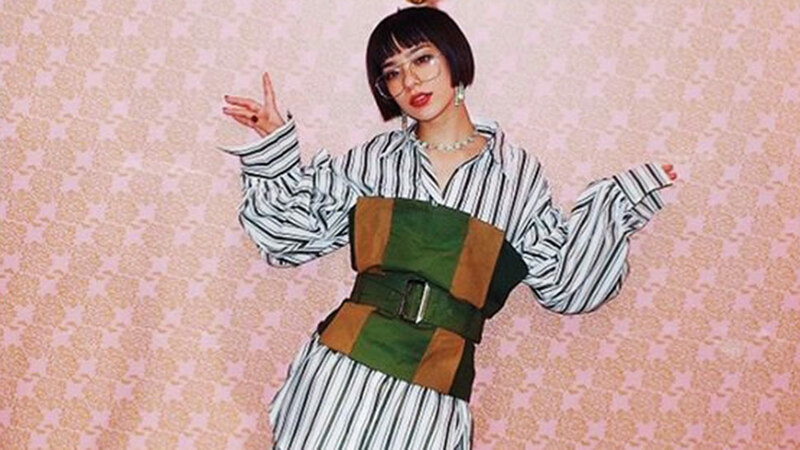 She can effortlessly make you appreciate non-color as well as the Japanese streetstyle aesthetic, which she's able to pull off confidently and unapologetically. When Preview went to her house to shoot her fashion collection a.k.a. 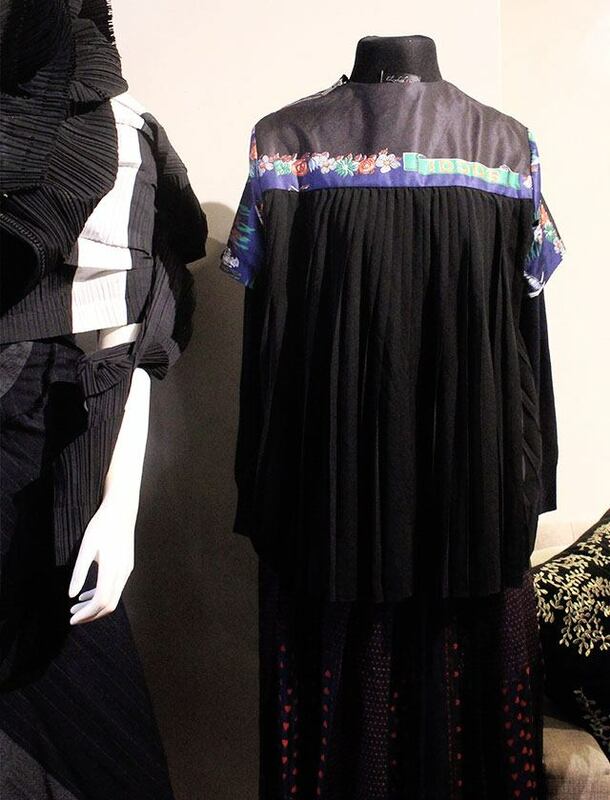 Japanese designer goods that come in neutrals, she even took out this Comme des Garçons dress that she once wore to Manila Fashion Festival. And in between laughs, she divulged how she broke too many glasses that night as she turned and walked around in her avant-garde frock. It's her brazen fashion choices that landed her a spot on our 2015 Best Dressed List. Her eccentric style that favors everything gigantic, oversized, smocked, and deconstructed became her signature look, which she gladly embraced and now wears like a badge. Read our interview with Monika below as she talks about her massive ebony collection. Hi, Monika! What have you been up to nowadays? "I do public relations work for Junca Group now and I still take on styling jobs. 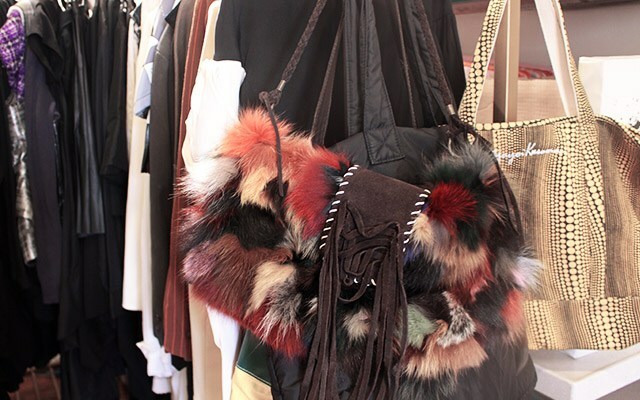 I act as a personal shopper for friends and clients abroad, too." You've got quite a collection here. Is this everything you have? "Oh no. I had these racks moved from my other house to my condo here in Quezon City." These racks occupy most of the room. I wonder how the storage situation is in your other house. "I actually have one whole room as a closet on one floor of the house. That, plus a few more racks in the room I sleep in." Do you ever repeat clothes? "I do, on normal days when I know I won't get photographed. My general rule is when they've been seen and I was already photographed wearing it, I don't wear the same outfit out again on another event." That's actually a clever strategy! Anyway, what got you started collecting Japanese streetwear brands and designers? "Living in Japan was somewhat a liberating phase for me. Getting to see and to be surrounded by fashionable people from all walks of life got me so curious and interested in Japanese fashion." Why did you choose this particular style? "In Japan, you do not dress up to fit in; you wear the style of your choice as a self-expression, and I liked that idea. For example, I have this neighbor in Roppongi—they're an old couple—but whenever they go out together, they are always in matching clothes that are fashion. In Japan, fashion knows no age and there's no shame in wearing what you like." "Yes, vividly! 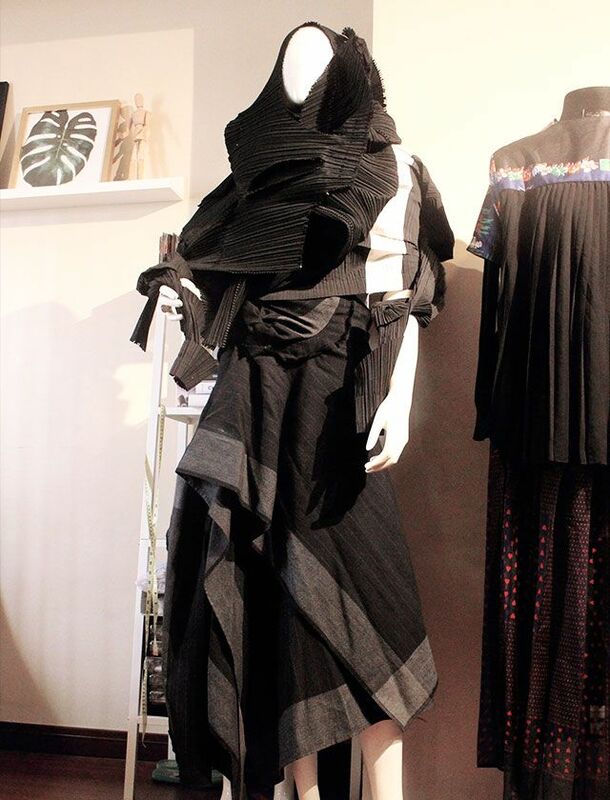 I recall purchasing an Issey Miyake Pleats Please sculptural, archetype runway piece. I consider this a very bold move for someone who was still starting to explore her personal style then." How about your latest one? 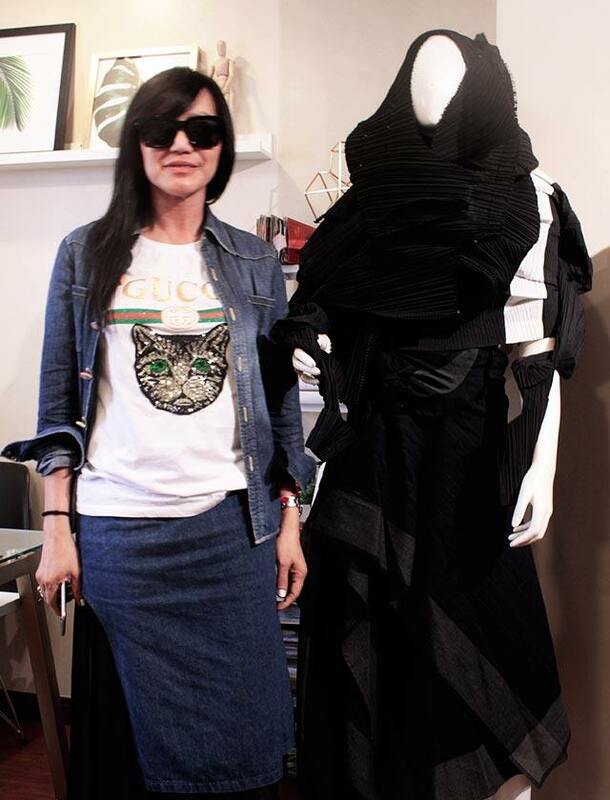 "I am obsessed about the younger Japanese brands these days. A personal favorite recently are Sacai pieces and I bought a few pieces two weeks ago. 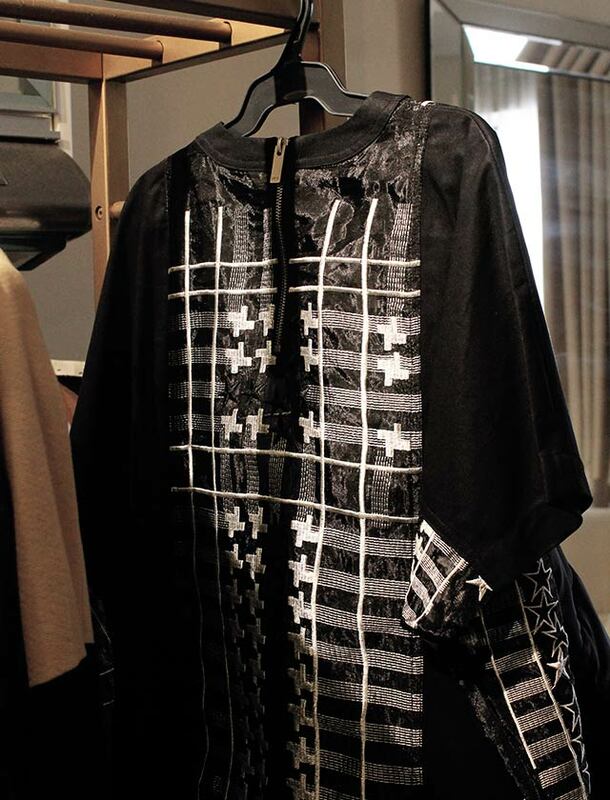 This top is made from a Sacai scarf. I bought a Sacai skirt, too, but it's quite sheer so I'm still thinking what to layer underneath it. So far, it's a toss between another skirt and a pair of wide leg pants." "I don’t want to play favorites. Each of the pieces I have acquired have stories behind them. "Like this deconstructed denim skirt. When I bought this, they taught me in the store how to wear it—as a skirt, as a coat—but when I came back here in Manila, I couldn't figure it out! None of my friends who are stylists and designers could piece it back together. I had quite a laugh about it back then." 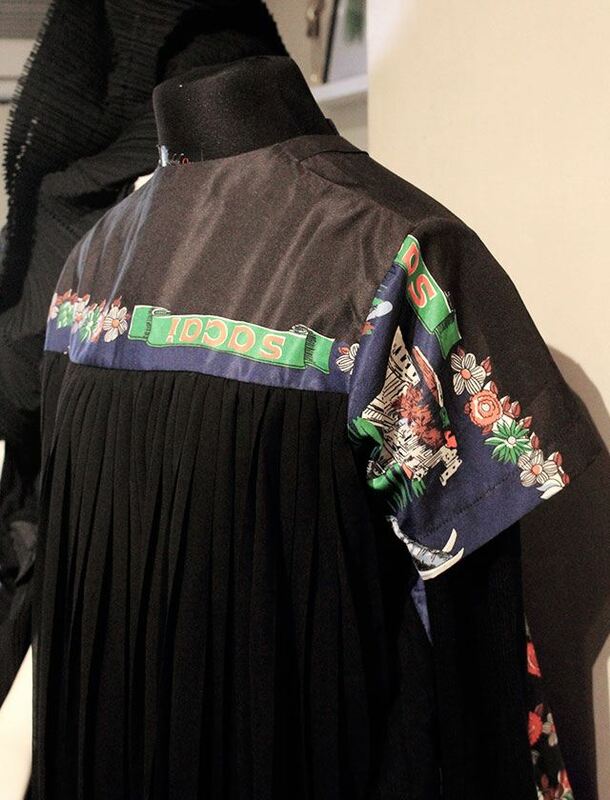 "And contrary to the common perception, Japanese fashion isn’t always and only limited to black, slouchy clothing. There are lots of styles to choose from and it is comforting to know that you’d get to switch depending on your mood that day. So yeah, I love all of my Japanese fashion acquisitions." Yes, I noticed most of your clothes are in black. How do you decide when to buy a piece that aren't, well, black? "It depends on the season, to be honest. Sometimes, black just doesn't work for summer! [laughs]"
How about in general? 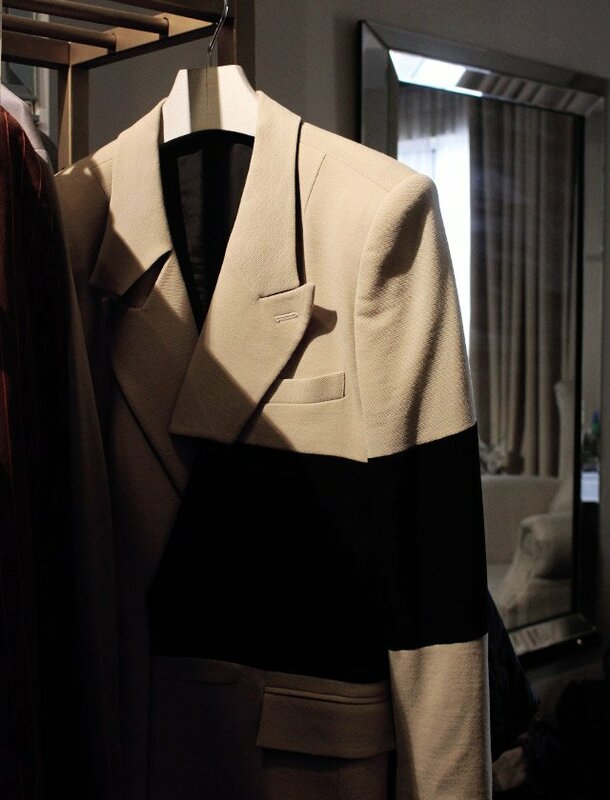 Do you reach for certain designers or silhouettes when you go shopping? "I live by my gut feeling. When I see something I like, I get it right away." Buy now than regret later, yeah? "[Laughs] In other words, yes. When you want to be unique, your eyes and decision-making skills should be sharp and fast. You don't want great pieces to pass you by." Have you ever regretted a purchase? 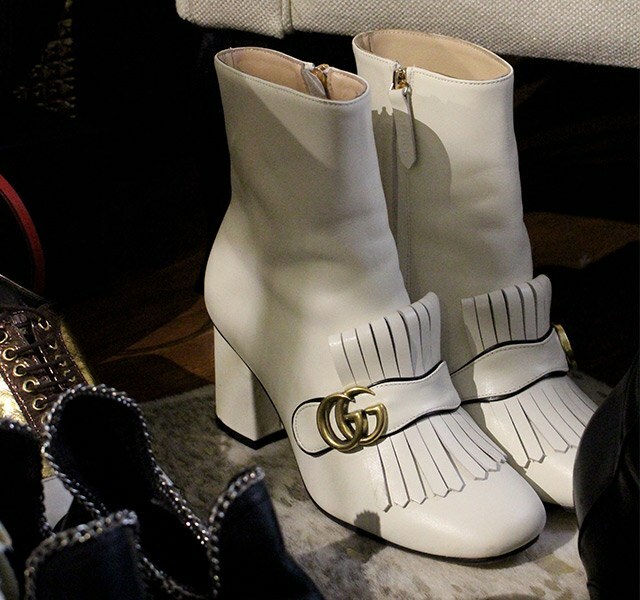 "Hmm, I think this Gucci Marmont boots. But only because I got it in a size bigger than mine! I just had to have them so I figured it's okay that the size ran bigger than smaller—I would have then regretted the purchase and be in pain. We don't want that!" "I've only worn the Gucci boots once. 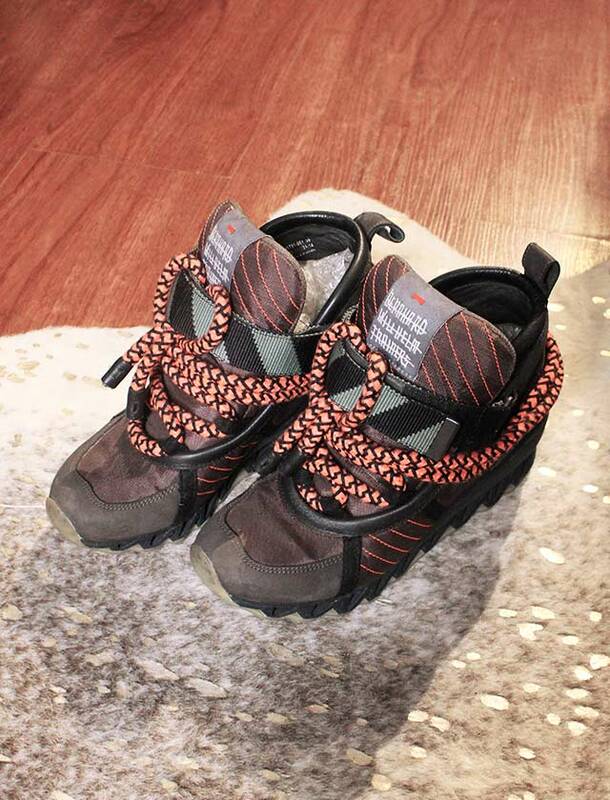 I'm okay with wearing bulky shoes like this Acne Studios pair because the style is meant to be exaggerated. But for boots like that, it just looks ill-fitting on me." Do you set a limit to yourself when you shop? Why or why not? "No. [laughs] To me, it's not about the price tag. It's about the experience. I travel abroad when I shop. 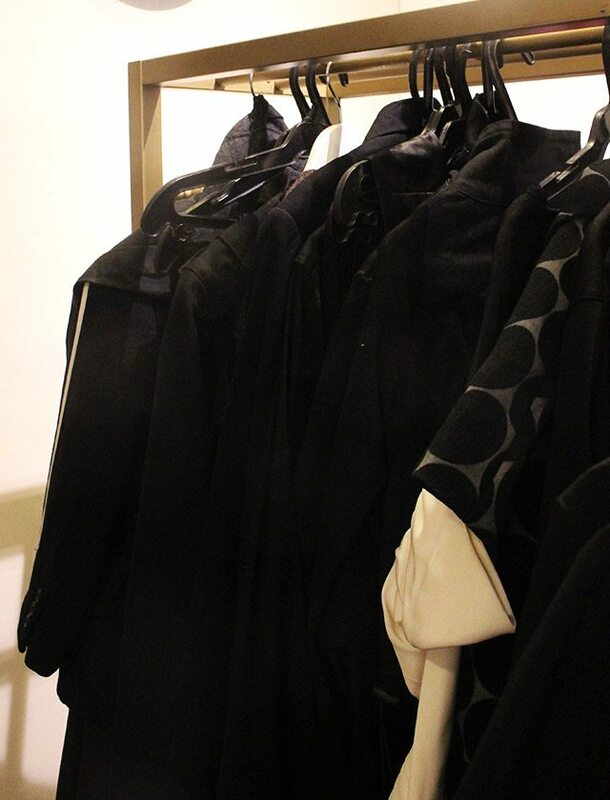 I like the feeling of going through the racks and experiencing that excitement and desire to wear that garment." Do you have a bible that serves as your inspiration? "I usually look at Gap Press Magazine and I look to runway shows, too. That's where I first eye interesting pieces and I compile them in my phone. I also get inspired by the people on the streets. In Japan, I would really ask some Japanese people where they got their clothes if I really liked it. 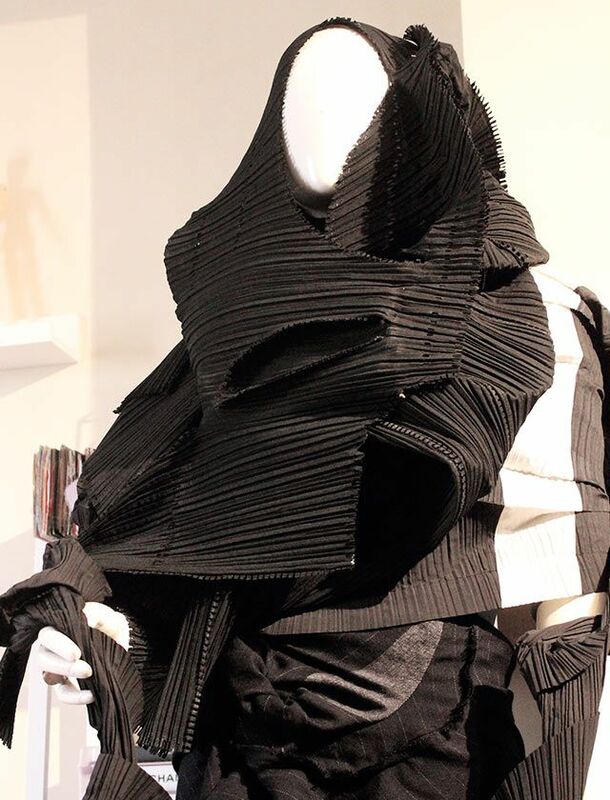 That's how I discover young designers, too." Oh, wow, that's interesting! Speaking of shopping, how do you decide when to invest in designer goods that are not Japanese? "Ultimately, they have to be unique. I prefer those that come in limited editions so I'd be the first to cop, and I'd be among the few who have it. I like to buy pieces that are also straight off the runway like this Juun. J blazer which I haven't worn yet." Do you have a lot of clothes you haven't worn yet? "Oh yes! Naghahanap ng event! Kailan na ba ang Preview Ball? [laughs]"
Most of your clothes are still in good condition. You must really take good care of them. How do you manage that? "Depending on what we are dealing with particularly. Leather pieces in particular are stored differently and separately. They must be regularly retouched and should be stored away from moisture. This is where dessicants come really handy." "Cotton pieces should be carefully handwashed in color-friendly detergents. If you can’t have them washed by hand, make sure knit, jersey, and stretch pieces are placed in perforated bags before spinning them in washing machines. And for sculptural pieces, give them their own space, never ever cramp them up in a small space or you’ll end up destroying their form." "Shoes must be stored with shoe trees and bags must be placed inside their dust bags not unless you have a custom closet for each and every one." Lastly, what's your tip for someone who also wants to start a collection like yours? "Never be scared to try on everything that arouses your interest. It won’t hurt to be bold and experimental."